Foreword to this title is written by General Sir David Richards. 'Accurate and rattlingly good story-telling - from a leading commentator on North-West Frontier affairs' - Nick Smith, Bookdealer. In the mid-nineteenth century, the British and Russian Empires played the 'Great Game', a rivalry for supremacy in Central Asia. To secure a 'buffer zone' in Afghanistan, between India and Russian territory, Britain launched the First Anglo-Afghan War in 1838. Initial success, including the imposition of a puppet regime supported by too few troops (a situation that has great resonanace today), was followed by complete disaster in 1842, with 4,500 soldiers and 12,000 civilian camp followers killed by rebellious Afghans. Only one Briton is known to have escaped the massacre. 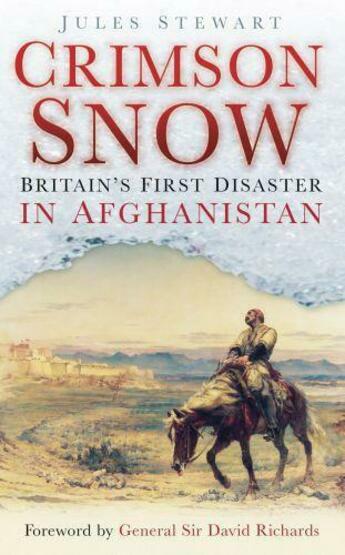 This compelling story of imperial misadventure is told by Jules Stewart, a former Reuters journalist with considerable experience in the region and a specialist in North-West Frontier history, and has a foreword from General Sir David Richards, Chief of the General Staff and a former NATO commander in Afghanistan. It provides important parallels with our current commitments in this graveyard of ambitions, and illustrates how little has been learnt from the past.